Normally I have a Customer Appreciation Open House around this time of the year; however, I ran out of weekends to host one this year due to our family vacation to DisneyWorld, upcoming holidays, booked workshops, and Ayden's T-Ball games. So I have decided to run a special starting April 28th through May 4th, 2012. Please note this offer is only available through me, Independent Stampin' Up! Demonstrator. Place an online order on my website between April 28th through May 4th, 2012 and receive a gift certificate from me to use on your first new catalog order! Your gift certificate amount will be 20% of your order (before shipping and tax) placed between April 28th through May 4th, 2012. You have until July 31st to use your gift certificate on your first new catalog order. To redeem your gift certificate, please contact me first and then I can take your order and apply your gift certificate amount to your new catalog order manually. I'm sure you are just as excited as I am to get your hands on the new Stampin' Up! Annual Book. Here is your chance to reserve your copy from me! If you place an online order on my website between April 28th and May 4th, 2012, I will automatically send you the New 2012-2013 Stampin' Up! Annual Book for FREE!!!! as soon as I am allowed to send it in accordance with Stampin' Up! policy. Don't forget about Meg's Reward Programs!!! Take advantage of this special offer AND you will be also entitled to my Reward Programs (Free Stamp Set of the Month and Frequent Shopper Star Program). Click HERE to learn more about the Free Stamp Set of the Month Program. This month's Free Stamp Set is Tagtastic Stamp Set. Click HERE to learn more about the Frequent Shopper Star Program. Thank you for stopping by today. Have a wonderful weekend and next week too. I'm taking a week off to hang out with my boys!!!! It's finally HERE! The Stampin' Up! Retiring Accessories List is now available. Good News! Check out the amazing deals on many of the retiring products including punches, Big Shot dies, tools and more......up to 60% off!!! Remember these retiring products are only available while supplies last. Click HERE to view the Retiring Accessories List by Catalog Page Number. Click HERE to view the Retiring Stamp List by Catalog Page Number. When you look at the retired accessories list, you will notice all of our Stampin' Pads are listed. This is for 2 reasons: (1) Craft Stampin' Pads will now only be available in black and white; and (2) we are introducing a new Firm Foam pad in our Classic Stampin' Pads with the 2012-2013 annual catalog. The Firm Foam pads offer better ink coverage and, in return, better stamped image. They will be available for customer order on June 1st. Craft Ink Pads (other than black and white) and Craft Refills will no longer be offered. Any item on the retired list with an asterisk next to it is being reconfigured. Two items that were included on the Retired Accessories List are not actually retiring. Thank you for stopping by today. Please feel free to contact me with any questions. Have a great day! Happy Monday! I have a very special project to share with you today. We made this adorable album at my Scrapbook Club workshop this month. The original idea for this album came from LeeAnn Greff who I admire very much for her amazing creativity. So I contacted her a few weeks ago and received a permission for allowing me to share her name and Side-Step Album here on my blog. LeeAnn offers various tutorials on her blog "Flowerbug's Inkspot." Please click HERE to visit her blog. I can assure you that you will be inspired with her fabulous creations after visiting her blog. Trust me on this......She is AMAZING!!!! Here are more photos of my Summer Smooches Album. I LOVE this brand-new "Summer Smooches" collection from the 2012-2013 Annual Book. The Designer Series Paper is packed with bright colors and so versatile. It's perfect for any occasion! 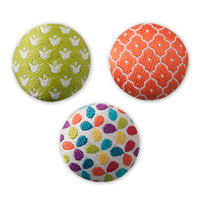 Have you seen this new set of Summer Smooches Fabric Designer Brads in person? They are absolutely gorgeous!!! According to Stampin' Up!, they are only available during the month of April. Thank you for stopping by today. Make sure to visit LeeAnn's blog too. Have a wonderful week! Hi there! I'm loving this new collection "Summer Smooches" from Stampin' Up! It's a suite of brand-new products from the 2012-2013 catalog. 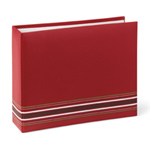 The designer series paper is absolutely gorgeous packed with an assortment of bright colored paper. The "Bright Blossoms" stamp set is so cute and very affordable! Here is another look of my sample card which I created for my April Card Club workshops. The ladies absolutely loved this card!!! To make this card I demonstrated 2 new techniques to use the Framelits dies in my club workshops this month. Do you see the front of my card is folded in half and has one half of the die-cut exposed to the right? Score your 4 1/4" x 11" card base at 2 3/4" and 5 1/2". Using Dotto Removable Adhesive, adhere a piece of the designer series paper temporally. The reason I am using the removable adhesive in this step is that I don't want a part of patterned paper showing inside when the die-cut part is flipped over. Place one of the Framelits dies on your card front matching the notches of the die with the 2 3/4" score line and secure with painter's tape. Place your card on Tab 2 of Multipurpose Platform with one cutting pad on the bottom and then place another cutting pad on top but only to the 2 3/4" score line as shown below. Go ahead and run it through your Big Shot. Secure your patterned paper with Snail Adhesive. You can discard the small piece of patterned paper or keep it for another project. The next trick is how to emboss using the Framelits Dies. Can you see the Whisper White die-cut piece below is embossed in the same shape but in a smaller size? Isn't that pretty? Run a piece of Whisper White card stock through your Big shot using one of the Framelits Dies. Place your die-cut piece in the order as listed below. Please note that this setting worked the best for my project on my Big Shot machine. Each Big Shot is different and the type of card stock you are using may require you to adjust your setting by adding a sheet of card stock or computer paper. Thanks for stopping by today. Hope you will try these techniques for your next project. Please feel free to contact me with any questions. Have a great day! It's finally here. We've been anxiously waiting to find out which Stampin' Up! stamp sets will be retiring at the end of May. My absolute favorite stamp sets (Lovely as a Tree and Teeny Tiny Wishes) have survived! Yeah!!! Hundreds of stamp sets and accessories from the 2011-2012 catalogs are retiring and this is your chance to get them before they are gone. These stamp sets will be available for purchase through May 31st, 2012. If you plan on purchasing these items at my online store, make sure to check out the Stampin' Up! Clearance Rack for unbelievable deals on punches, accessories, paper, and etc. up to 60% off! Clearance items can only be placed through an online order and are available while supplies last. Remember to take advantage of my Reward Programs (Free Stamp Set of the Month and Frequent Shopper Stars) by ordering online through me as your Stampin' Up! demonstrator. These rewards are only available by placing an order through me. April 25th, 2012 - Retiring Accessories and Definitely Decorative Lists will be available. These items will be available while supplies last. Stampin' Up! Definitely Decorative line will be totally discontinued. Be sure to order EARLY!! Please click HERE to visit my online store. Thank you for stopping by today. Please contact me with any questions. Have a wonderful week! Happy Friday! I can't believe it's already Friday! Can't you? I had a fun night with my Ink Pad Club ladies last night. We made this card using the Blossom Kit from the Occasions Mini Catalog. This Blossom Kit is an ideal choice for any project. We punched card stock with the Blossom Punch and layered them together. Some of the flower die-cuts from this kit coordinate perfectly with the Blossom Punch. These "pink" rhinestones are also included in the Blossom Kit. So pretty! Hi Stampers! Check this out......Stampin' Up! has just added 55 new Clearance Rack items to the online store including a number of punches, dies, and accessories. Remember my Christmas Scrapbook in a Day class project that I offered last December? 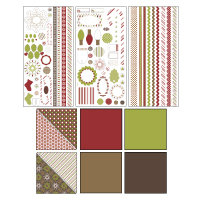 This pretty "Cherry Trim Designer Ring Album" and the Christmas Lane Simply Scrappin' Kit we used to make the scrapbook are now available at clearance prices. If you are looking for a super quick scrapbook project for your holiday photos that you haven't even started (sounds familiar?? ), I highly recommend this Christmas Lane Simply Scrappin' Kit. Click HERE to go to my online store to see the new Clearance Rack items. Hurry they are available while supplies last!!! Please note Clearance Rack items are only available online and they DO qualify for my Reward Programs. Free Stamp Set of the Month - this month's featured FREE stamp set is "Tagtastic". Frequent Shopper Stars - earn Frequent Shopper Stars and receive $40 in Stampin' Up! products for FREE as a thank you gift from me! Thank you so much for stopping by. Please feel free to contact me with any questions you may have. Have a wonderful day! Happy Monday, Stampers! I'm back....Sorry to be absent all last week. Ever since we came home from our vacation in Whistler, I was literally going non-stop with my workshops, classes and the Spring Workshop at Carrie Blake and felt like I had ignored my family, and missed them so much. So I decided to take a break and spent a week with my boys. It was their spring break too. It was fun. And the winner is ...... Karen B from Sequim. Congratulations Karen! Thanks to everyone who placed a Stampin' Up! order with me in March. It's a new month and time for a free stamp set giveaway! This month's free stamp set is Tagtastic. Click HERE to learn more about the Free Stamp Set of the Month Giveaway. It could be YOU next!!! This adorable gift box was a mystery project for the Spring/Easter Class last week. We decorated the Kraft Gift Box (124106) with some die-cut flowers from the Blossom Builders Designer Printed Kit (125410) and Brights Collection buttons. What a fun project! Thank you for stopping by today. I've got to go now to prepare for tonight's Scrapbook Club workshop. I have an adorable album for them to create. It's really pretty. Anyway hope you have a wonderful week!